An emotional story of secrets, regrets, lies and love. These words are not my own. They have been folded deep into my psyche since birth. I choose those words I speak carefully but the words, which escape onto paper, are wild, untethered and free. They tumble into the world with an abandon I do not feel. Rosie’s discovery turns her already troubled world upside down. Sarah has kept her secret hidden for so long but feels it’s time to let her truth out. Mary, who is nursing her own broken heart, listens to Sarah’s story as it unfolds into something she will ultimately be left holding. Lenora waits for her daughter to come and find her. 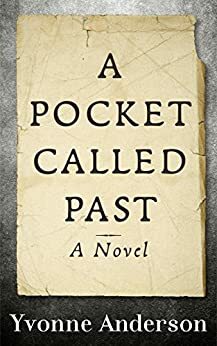 A Pocket Called Past shows us what consequences secrets and regret can have in our lives and how we go about picking back up the pieces. A beautiful book with an emotional journey for the characters. I couldn't stop thinking about the story and the consequences that occur from the characters decisions they made. I laughed and cried. A great read. A great read! The characters were interesting and well written and I had to read the whole lot at once to find out the conclusion. Lucky it's not too long or I would have been up all night. Will read again soon at a more leisurely rate. 4.0 out of 5 starsAn Enthralling Family Mystery - Read It! 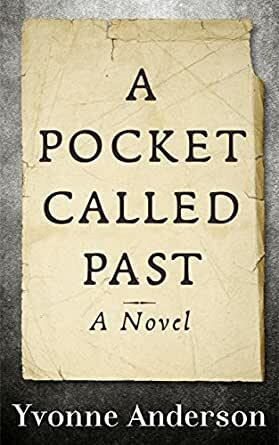 I just read this lovely book in one sitting. I was immediately hooked by the characters, the flashbacks, the changing POVs, and the mystery within. Yvonne Anderson's writing style is so sweet, thoughtful, and open. I hope to see more from her! 4.0 out of 5 starsSo great I finished it in one sitting! A captivating read that has you engrossed from the very beginning. With well defined characters and the interchanging of their varying perspectives, readers will find themselves invested in discovering where this intricate story takes them. Amusing and emotional, this first novel from Yvonne Anderson is exciting and I would happily recommend it to others. 4.0 out of 5 starsThoroughly enjoyable read !